The professionals of the animal sector are in luck with Palmar Logística SL. We want all those who are dedicated to raising and caring for our pets to receive the best products from the best brands. That is why, for all professionals of the animal sector, we have special prices adapted to your needs. We offer the best products of the best brands in the sector with a very competitive and special price for them. 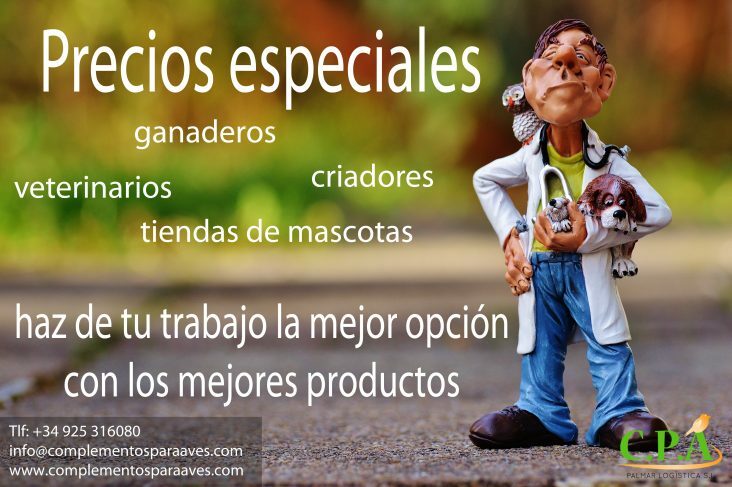 If you want to know what offers we have for your company, contact us in the mail info@complementosparaaves.com or on the phone + 34 925 316080. We make national and international shipments.